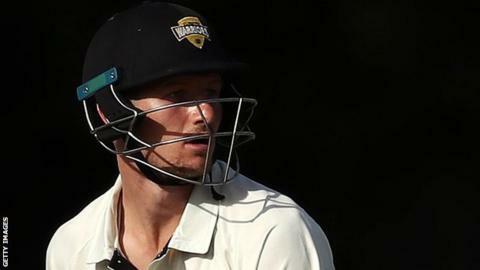 Durham have appointed Australian opener Cameron Bancroft as captain for their County Championship and One-Day Cup campaigns this season. Bancroft, 26, returned from a nine-month ban in December for his part in ball-tampering during the third Test against South Africa in March 2018. The Western Australian replaces former skipper Paul Collingwood, who retired at the end of the 2018 campaign. "We're confident he has the attributes to lead," coach James Franklin said. "He has invaluable experience at the top level and has enjoyed a successful spell in England before, during his time with Gloucestershire. "He's proven since returning to first-class cricket over the last few months that he has the mental toughness, skill and attitude to excel at the highest level and I'm sure he will relish the challenge we have at Durham this season." Bancroft has not added to his eight Test caps for Australia since he was banned along with former captain Steve Smith and vice-captain David Warner. He will miss Durham's first County Championship match against Derbyshire, starting on 5 April, when fellow opener Alex Lees will lead the side, but is available to play in their second game against Sussex.